Choy Sun Doa, which translates to God of Prosperity, is a well known and popular pokie from Aristocrat that can be played online using a Mac, PC, iPhone, iPad and Android Device. 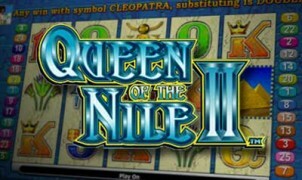 This pokie game is available for free play without signing up or can be played for real money download free. 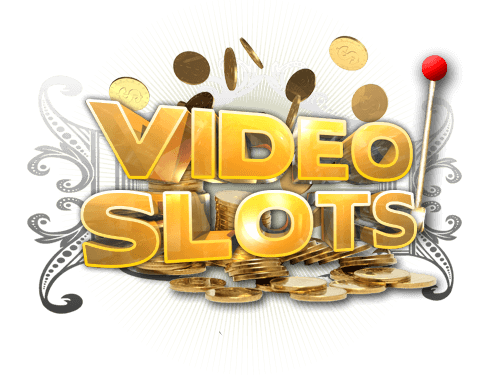 The game is one of the Reel Power pokies from Aristocrat, which have become very popular amongst Aussie and New Zealand players online. With this, there are no single paylines in use. Instead, one will have 243 ways to win, where matching symbols on adjacent reels will offer payouts based on the game pay table. There are some great game features offered with Choy Sun Doa and it all starts with a wild symbol which is a Chinese man icon. This will only appear on the middle reel, but it can be beneficial when trying to create better payouts. The wild is used in the base game as well as in the free spin round, though it is not a multiplying symbol. With the crown, players will enjoy an instant payout when two appear scattered anywhere on the reels. Should they get three or more, they will trigger the free spin round, where they can choose from playing 8 spins at a 15x multiplier, 10 spins at a 10x multiplier, 15 spins at an 8x multiplier of 20 spins with a 5x multiplier. 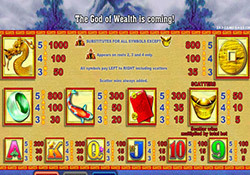 This game also offers a gamble feature, where players can double their winnings following any winning spin on the game, just like Werewolf Wild. It is also possible to quadruple payouts by choosing the correct suit of a card that will be displayed. The gamble feature is a great way to increase low payouts, making the Choy Sun Doa pokie machine well worth playing for real money. When players elect to play the Choy Sun Doa pokie for real money, they can bet between $0.01 and $100 per spin. Though the game does offer 243 ways to win, all bets are placed as if the game offered 25 paylines. The maximum bet will win the fixed jackpot of $4000! There is no progressive in the game, but the multipliers in the free spin round will boost the amount that is won. Choy Sun Doa pokie machine offers a nice and soothing Oriental theme, complete with background music and attractive animations found on all Aristocrat Pokies. The game consists of themed icons such as dragons, Gold crowns, jade rings and golden koi. There are also standard playing card symbols that are in use. All of the symbols that are seen on the reels will appear decorated in gold to enhance the visual appeal and stay in line with the game theme. 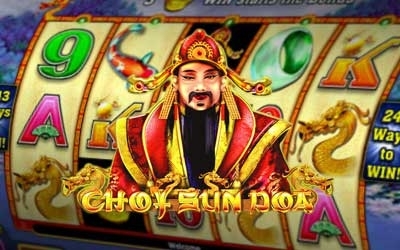 Choy Sun Doa Online | PC, Mac, iPad, iPhone & Android. 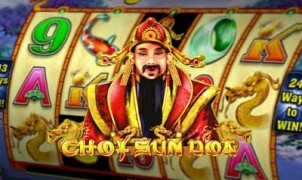 Want to play Choy Sun Doa online or on your PC or mobile device? 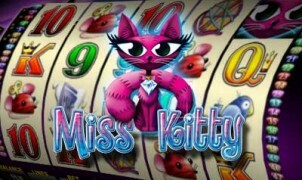 Checkout VideoSlots.com for the latest range of Aristocrat Games. You can play download free on your PC, Mac, iPhone, iPad, or Android Device. To start playing click on the link below, select “Aristocrat” in the game providers filter and play your favourite game. 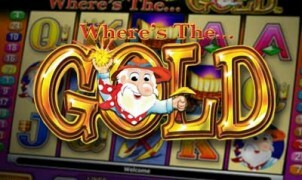 Play in free play or for real money on you mobile device, Mac, PC, iPad, iPhone and Android.